In the course of a single day I use gratitude, authenticity, patience and humor to help me stay focused. While I want to be flexible to what each day might bring – I also want and need to be grounded and focused in order to make forward progress on my priorities. Each day I get to reconfirm my priorities. I get to practice patience with myself and others as I continue to refine my direction. It’s amazing how simple life can be when each day is based on values that are strong and deeply rooted. It makes saying “Yes” easy and saying “NO Thanks”, even easier. How simple, how perfect. I don’t have those coulda, woulda, shoulda thoughts when I am focusing on my own path. I don’t second guess my decisions, or feel left out when I gracefully decline an invitation that does not fit with my authentic priorities. 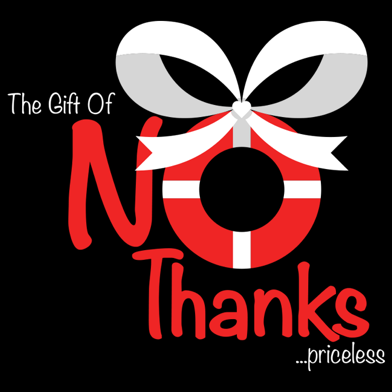 When I say “NO Thanks”, I genuinely and authentically mean, “NO Thanks”. I don’t despair over what could have been. I can feel good I honored my own chosen path. And then there are those days when something in life shows up that’s messy. It could be messy, unexpected, painful and not according to any plan I would ever have for my life. How I respond matters. How I respond will allow the messiness to be either a blessing or a burden in my life. One of my young grandsons got sick when staying with me and he kept apologizing for getting sick on my furniture. My priority was his health and his comfort at my home. This was an easy situation to respond to – as I could easily put him and his health and his feelings above everything else. Other times, knowing how to respond instantly is not always so clear – but if you live with solid priorities they will support a response in alignment with your values, every time. In a Single Day – we experience a myriad of situations that can challenge our priorities, gratitude, authenticity, patience and humor…thankfully we can develop deep roots in all of these areas which allow us to bend, not break.